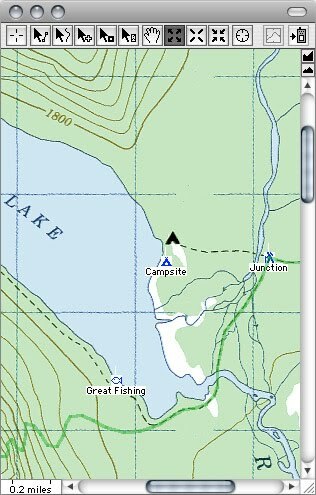 Bushwalking Skills: Why use navigation software with your GPS? Why use navigation software with your GPS? Navigation software has many advantages over using a map, compass and measuring device to plan a route. Two of the best are the time savings and the increased accuracy. For many people a key advantage will be the ability to zoom in and enlarge what you see, making it easier to count contours and recognise symbols. 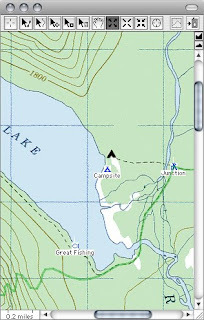 For others it will be the ability to position the cursor on the map at a point of interest and read the grid reference with high accuracy, without any need to physically measure. For most, it will be to plan a route, by clicking a series of carefully selected waypoints, naming them and then exporting the waypoints to a kml file, which can be viewed in Google Earth. If like me, you have a lightweight small screen GPS eg Garmin Geko 201, then the time saving is enormous, compared to having to enter each waypoint manually using the rocker button, to repetitiously scroll through the alphabet. Want to get a bearing between two points? Simply click your cursor at the first point and drag to the second and read the result. 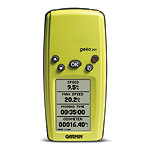 Want to measure the distance along a route? Simply click a series of points along the route, the closer together the more accurate, and then read the result. Want to see how your actual route compared with that planned? Simply import your GPS data back into your computer and look at the points on your map. Your mapping software is your interface between your map and your GPS and as such, the quality of your map is critical, but that's another story for later.